Premier Su Tseng-chang (蘇貞昌) yesterday voiced his support for Taichung County Commissioner Huang Chung-sheng's (黃仲生) proposal to dredge the Tachia and Ta-an Rivers, and then sell the accumulated silt and gravel to interested buyers. 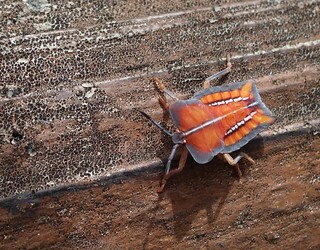 Outsiders see a different Taiwan. That Taiwan is an innovation powerhouse, with ADSL in a quarter of all homes, glittering metros swiftly ferrying passengers from one station to the next, world-class manufacturing facilities, and links to design, production, and shipping firms all over the world. The other Taiwan is something else entirely, It runs, not on electronics, software, and OEM production, but on a system in which flows of money out of the central government treasury into local government coffers transmogrify into flows of cement into local government landscapes. And to keep that system going, Taiwan needs gravel. 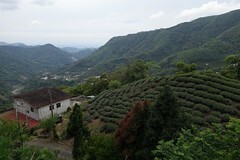 At first glance, it seems almost unbelievable that a nation whose west coast is a plain consisting largely of a thin layer of soils overlaying vast beds of gravel wash brought down from the central mountain range or deposited by the ocean over the last few million years would ever suffer from a gravel shortage, but Taiwan does. Until May of 2006, Taiwan's insatiable appetite for gravel was satisfied with imports from China, which accounted for 97% of Taiwan's gravel imports, and 20% of its overall gravel consumption. Imports from China began in 2001 with a mere 1.8 million tons. By 2003 that had risen to more than 63 million tons. Taiwan also takes about 15% of US gravel exports, second only to Canada. Other important sources of gravel for the island are the Philippines and in the future, Vietnam, where a few Taiwanese investors have already commenced gravel mining operations. 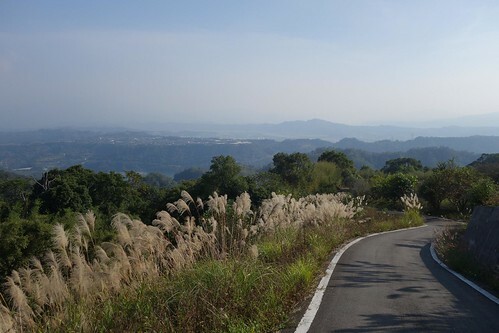 Taiwan actually exported gravel to Japan in the 1970s, when many riverbeds in the latter country had become completely scoured of usable gravel, but by the 1990s the island had run out of gravel. The construction industry slowed, and many small firms either went bankrupt or engaged in cutthroat price competition, a situation intensified by the large numbers of illegal gravel mining companies that compete in the industry. 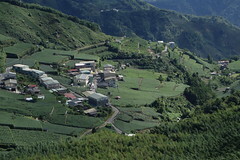 In 2000 the government announced plans to permit extraction of gravel from land, but the expectation was that gravel mining in Taiwan would cause serious ecological problems. The sourcing of gravel from China was likely a response to anticipated problems with gravel mining in Taiwan. A further problem with west coast gravel mining is that since the early 1990s the government has been trying to move mining operations over to the east coast. [spokesman] Chen said that Taiwan uses 60 million cubic meters of gravel for construction each year, with an average of 5 million cubic meters used each month. He added that there will be a 9 million cubic meter gravel shortage once China suspends gravel exports to Taiwan May 1, which has prompted the WRA to work out a plan to allow additional dredging from the Lanyang, Dajia, Jhuoshuei and Gaoping rivers, as well as several others, allowing an additional 4 million cubic meters of gravel to be collected from these rivers. Chen said that according to tallies compiled by the Bureau of Mines under the MOEA, there are approximately 8 million cubic meters of gravel in storage and the government must prevent construction companies from hoarding gravel. Various forms of price manipulation, including cartelization, quotas, delivery slow-downs, and price-fixing, are a common feature of the industry. 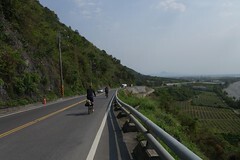 In 2003, for example, the Nantou County Gravel Suppliers Association, responsible for most of the gravel that goes into central Taiwan, attempted to erect a system for pricing gravel deliveries using a base price, prorated by distance. This looked a lot like a cartel to the local Fair Trade Commission, and the system was shut down. The official from the Board of Investments said the Taiwan delegation would look at sustainable sources of riverbed-grade gravel and sand, especially in two provinces in Central Luzon which have expressed readiness to meet Taiwan’s aggregate requirements, estimated at 25 million metric tons a year. At the prevailing price of $10 per metric ton, the potential earnings from the export of gravel and sand to Taiwan was about $250 million annually, said the BoI official, who declined to be named pending negotiations between the Taiwanese traders and local government units. The BoI official said Taiwan wanted assurance of a steady and environmentally-sustainable supply of gravel and sand for the next 10 years. Taiwanese businessmen will come to the Philippines to ascertain the representation of one province in Central Luzon that it can fully meet Taiwan’s requirements. “The Taiwanese want assurance of supply, and that the gravel and sand are sourced from riverbeds, not from mountains and coastal areas that are potentially disastrous to the environment,” the official said. “On the surface, the prospect of exporting ‘very valuable’ resources like gravel and sand would bring about untold economic gains to the province in particular and the country as a whole. “However, a closer look on the annual cost of the aggregates would reveal the enormous volume of gravel and sand that would be exported annually to Taiwan. $200 million worth of aggregates would translate to at least 400 million tons of gravel and sand each year. This volume is so huge that we cannot help but wonder where it will be sourced. “In the province of La Union, it has the Naguilian-Bauang River as the source. But will it be able to satisfy its quota share of the aggregates over the years? Suppose the supply of sand and gravel in the Naguilian-Bauang River is totally depleted, will the situation not put pressure on private contractors/businessmen to get their supply of aggregates from other sources [e.g., hills and mountains]? “When the object of quarry operations shift to the hills and mountains, then we can expect tremendous environmental repercussions like removal of forest cover, soil erosion and flooding not only in the towns of Naguilian and Bauang but also in nearby localities, the city of San Fernando included. These potential eventualities may bring about huge losses in terms of life, property and livelihood. Standard Today reader and engineer Armand Gonzalez last week echoed the same sentiment. Says Gonzalez: “To give you an idea of the magnitude of such a requirement, it would take 24,338 truckloads a day to move such quantities. If a truck could do eight trips a day, we would be talking of needing something like 3,043 trucks daily. Imagine these many trucks buzzing in and out of the area. What will happen to our countryside? Nevertheless, the Taiwanese are promising plenty of carrots for the province that gets the contract, including the upgrading of private port facilities. In the future the Philippines will likely become a key source of gravel for Taiwan. Taiwan's demand for gravel has done grave harm to its riverbeds and riverine ecologies, in turn damaging the structures that humans place in and along the island's rivers. Not only does the illegal quarrying of gravel leave vast pits in the riverbed, but it is commonplace for firms to illegally dispose of their waste by dumping it in the pits left behind by illegal quarrying. An additional problem is that the proliferation of dams in the 50s and 60s limited the amount of gravel that could be removed from riverbeds as no new sedimentation was taking place, since the dams retained sediment behind them. Intensive quarrying from riverbeds has lowered some river bottoms as much as 5 meters. The results? Threatened bridges all over the island. After a study conducted by a nine-member investigation team headed by the president of the Taiwan Construction Research Institute, the cause of the Kaoping Bridge collapse has been attributed to the loss of riverbed gravel due to quarrying, in addition to design inadequacies. Since the collapse of the bridge on August 27, engineering experts have suggested that illegal gravel quarrying could be the reason for the accident. Owners of quarrying operations have disputed the accusations, saying that their activities in the river were halted in 1997. Chern Jenn-chuan, president of the construction research institute, said the group made two inspections of the site before meeting to discuss their findings. "Our team has concluded that the collapse was primarily attributed to erosion of the riverbed which had been deepened by as much as eight meters. We also found that some of the buttresses were poorly protected," Chern said at a press conference yesterday. "Excessive gravel quarrying in the vicinity is, of course, related to the cause of the deepened riverbed and exposed pillars," Chern said. He refused, however, to blame the problem on quarrying alone. Chern said that the protective barriers immediately upstream from each pillar of the bridge were also to blame, as it appeared that they were not properly preventing the riverbed from deepening around the pillars. Chern said that this was especially true of the P22 pillar that failed, allowing sections of the bridge to collapse. One investigator said that the protective barriers were not the same and that this could have been significant. "The river flow at the time of the collapse was between 5,000 to 6,000 tonnes per minute. This was fairly normal for the Kaoping River. However, the difference in height among the adjacent barriers had produced many hydraulic jumps which increased the flow of water and pounded against the pillars," according to Tsai Chang-tai, a team member and a professor of hydraulic engineering at National Cheng Kung University. Chern said that "stability of the riverbed is key to the safety of all bridges," and that the Kaoping Bridge was no exception. Even though quarrying was to have stopped in the river at least three years ago, he said that there was no doubt that earlier quarrying had deepened the riverbed. Five legislators from the DPP's New Tide faction (新潮流系) visited Minister of Justice Chen Ding-nan (陳定南) early yesterday morning to request that Chen target illegal gravel quarrying as part of the ministry's crackdown on crime and corruption, DPP lawmaker Tsai Ming-shian (蔡明憲) said. 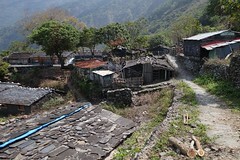 DPP Legislator Lai Chin-lin (賴勁麟) said the operation of illegal gravel quarrying typifies the illegitimate connection between organized crime groups and local government officials. Wong recounted rumors about how elected officials in her constituency of Chunghua County compete for illegal gravel quarrying through violent means. Unless the government endeavors to eradicate these illegal practices, similar tragic bridge collapses will be repeated, Lai warned. What remains noteworthy is that not only do none of the figures for depletion and degradation provided above consist of any losses in social costs, but Taiwan's combined rating of 2.65 percent against NDP (1998) is higher than 1.15% of neighboring Japan and 2.63% of South Korea with similar backgrounds using the same SEEA system. This implies that the levels of waste and water pollution, illegal quarring, and groundwater pumping remain excessive, setting off a warning that there is plenty of room for improvement despite the long way Taiwan has come in the area of environmental protection. UPDATE: Jason reminds me of how Non-Partisan Solidarity Union legislator Yen Ching-piao rose to prominence through a mix of different businesses, organized crime connections, gravel, and religion. No career better represents Taiwan's local politics than Yen's, who was elected to office while in jail, and whose son's wedding was attended by major Blue leaders. Great post, Michael. I'm curious if during your research you found anything about Independent legislator and convicted thug Yen Ching-piao and his own alleged gravel operations in Taichung County? I'd be curious to know how large a profit one could reap from dredging. No seriously, I totally forgot about him. 40 lashes with a wet la mien. By the way I think their should be more that can be done in Taiwan. Dajia and Daan river are loaded with sediment, not sure how much is usefull material though, but at least some parts should be safe to extract without inconveniencing to many people (although I do remember some graves inside the dikes, I wonder what does ghosts will think about that :-). There should also be other possibilities, making a lake for instance, maybe they can start dredging at sea, I wonder about the recycling of concrete in Taiwan. My mother, Yang Hsu Den-Mei, and two friends were killed 2/8 by a gravel truck that lost control and hit them head on. I feel strongly that the police are covering up a crime; they have stonewalled and at the scene treated the survivors like criminals. Tow-trucks arrived long before ambulances, presumably to clear evidence. The police "investigation" is inaccurate and incomplete. It is my understanding that gravel trucks are under the control of this corrupt system and have the police and judiciary in their pockets. These trucks are driven recklessly, never punished, and frequently cause serious and fatal accidents. I'm looking for help exposing this corrupt and dirty system. Any help? I am a Taiwanese ABC, but have relatives in Taiwan.